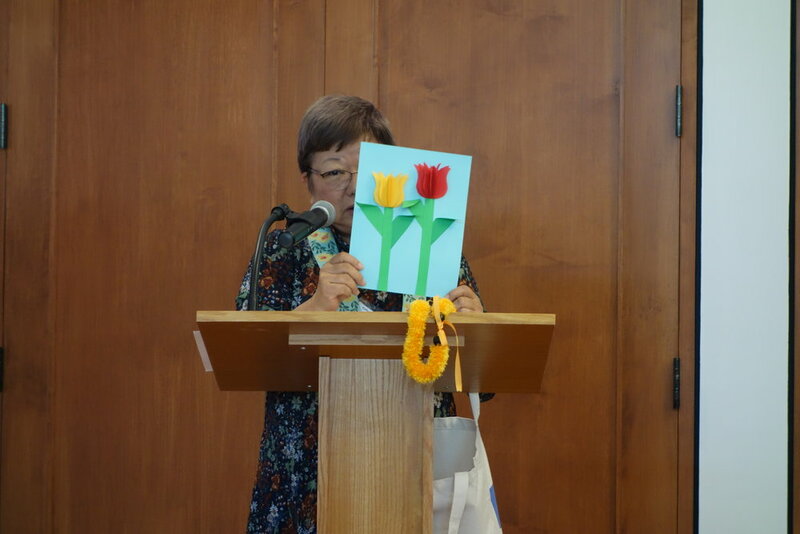 Today's Dharma Talk was given by Rev. Bert Sumikawa. April is when we celebrate Earth Day, so along with that theme, Rev. Sumikawa talked about garbage. Today we sort our garbage, placing recyclables in one bin, greens in another, and everything else in the grey bin. Then, every week, garbage trucks empty the bins. The same can be said about suffering. Suffering can be sorted into various "bins" of greed, anger, or ignorance. And, like garbage trucks, people may collect and eventually dump the garbage. Rev. Sumikawa had all in attendance pledge to not be garbage trucks. He showed us a windmill he had made with recycled materials - something good that was made from what was otherwise garbage. 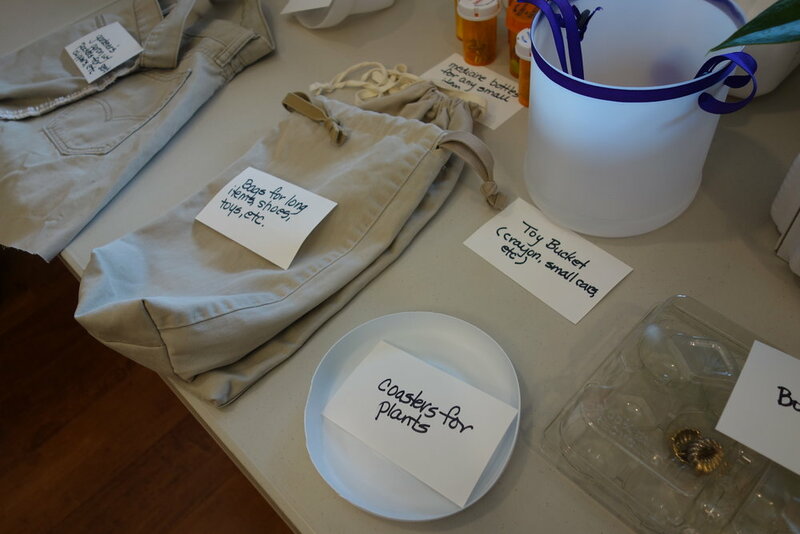 Also on display for Earth Day were various items that Prudence made by recycling common household items, such as empty laundry detergent bottles, old pants, and even natto containers.